I will try not to sound overly melo-dramatic but surely the stars alined this past weekend as I was browsing the beauty aisle inside Winners (similar to TJMaxx or Ross). It was a location I've never been, in fact I'm never even in that part of town at all and then there it was, amongst all the bars of pretty soaps and bubble bath I spotted the unmistakable mint green floral colour combination that could only be Cathy Kidston! My heart started to race, I stifled a squeal that had it come out would have been rather embarrassing but truly I think such excitement can only be felt by those who have longed for something unavailable in their country but is oh so covetable. I had been smitten with the brand for years, after seeing it from a few British bloggers and later more snippets from ASOS. Her vintage inspired feminine taste is everything my girly heart could want, from notebooks to teacups and those lustable makeup pouches, I'd never thought I would find a them so close to home. 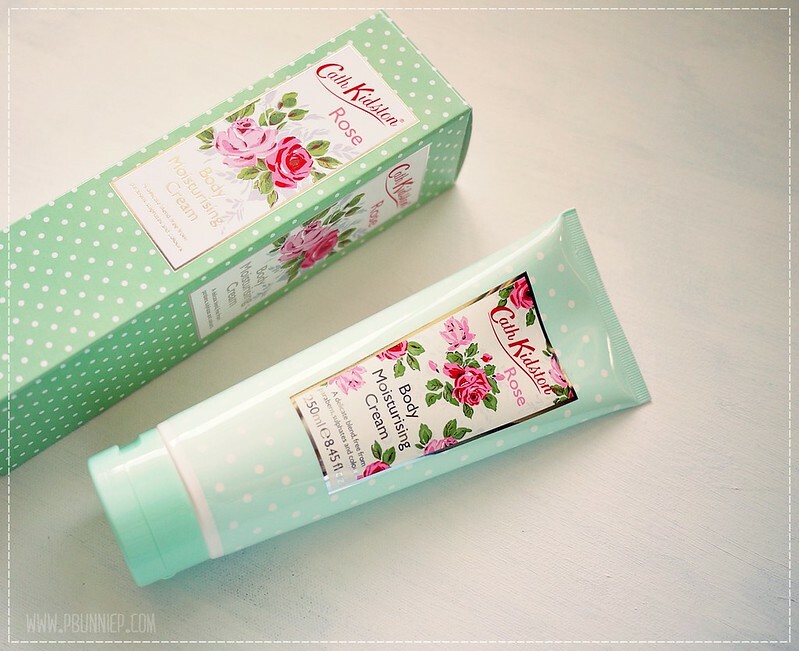 There were a few choices left on the shelves but after close inspection of the ingredients I thought the Body Moisturizing Cream, with its paraben, sulphate and colourant free formula, would be the best option. It's also scented with Italian Orris, white amber and tonka bean. Wouldn't this be lovely as a gift even? The moral of today's post, spend your free time browsing lost beauty departments because you never know what you might find so get exploring! Found any great beauty surprises lately? OH-MY-GODDDDD...which winners were u at?! I really like the packaging, I think I will order it on my next shopping on Asos! I wait your review btw!